This is Day 10 of our 12 Days of Christmas Decorations series … check out all of the posts here. Maybe this is odd, but I love making crafts out of food! I think it’s the teacher’s kid in me. Maybe it’s just the thrill of making something beautiful out of an absolutely ordinary item that gets me. This year I’ve been focusing on adding pops of red throughout my neutral rustic decor, and I knew cranberries were just the right thing to get me in the holiday spirit. 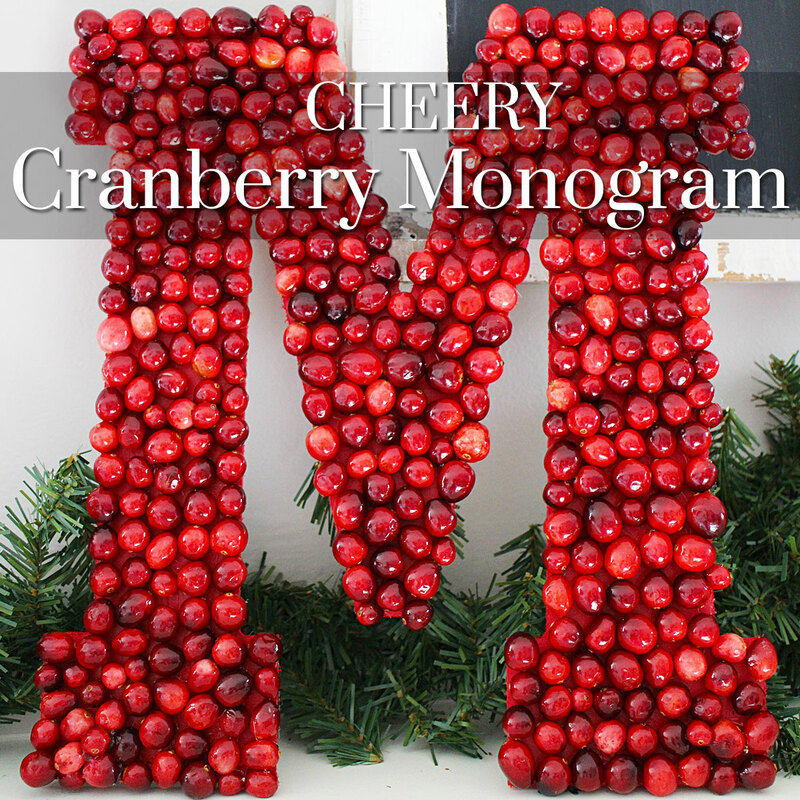 This beautiful DIY Cranberry Monogram is perfect for leaning on the mantel, hanging as a wreath, or displaying on your favorite credenza. Keep reading for step-by-step instructions on how to make your own! Love red, love cranberries, love letters and fonts – did you make this just for me? I’m so glad you love it, Julie! I do think small beads could work – and it would be easy to make them different shades of red. Mine is still going strong. I’ll be posting an update when it seems like it’s starting to go bad. This is so pretty! Thank you for linking up to The Creative Exchange! We are featuring your project this week. This is SO pretty! And so easy! I just love the color of the cranberries!